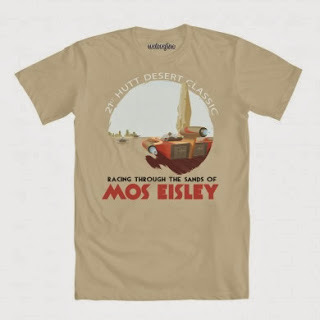 Steve Thomas [Illustration]: Mos Eisley Hutt Classic print now as a tshirt! WeLoveFine.com has released the first of the Star Wars travel posters as a tshirt! We are working on getting the rest of the series to the tshirt format as well.